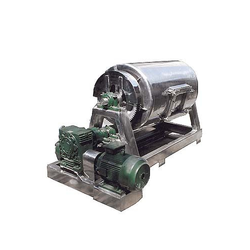 Prominent & Leading Manufacturer from Mumbai, we offer jar mill, rubber roller type jar mill and laboratory ball mill. Our customers can avail from us an array of Jar Mill which is used for easy and convenient mixing and grinding. 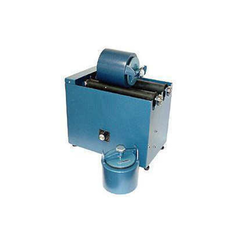 These mills are suitable for grinding soft or tough materials. The mill gives a quality output and is used for grinding drugs, minerals, clays, fibers, colors, chemicals and paints. We offer these in mild steel, stainless steel and in GMP models. As a quality driven enterprise, we are engaged in providing a beautiful range of Rubber Roller Type Jar Mill. This mill is used to grind and blend materials for using in mineral dressing. The offered mill is manufactured by our experienced professionals using quality assured components and contemporary methodology in adherence to defined industry norms. To eliminate any kind of flaw, the provided mill is duly inspected on several measures of quality. Backed by a team of dexterous professionals, we are engaged in providing a wide range of Laboratory Ball Mill that is suitable for dry & wet fine grinding, mixing, reacting of color paints. 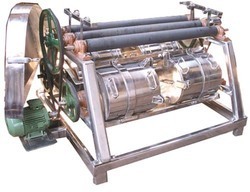 Additionally, these mills are also used in emulsifiers, enamels and others. Our highly skilled professionals manufacture these mills using optimum class components as well pioneered technology in conformity with predefined industry standards. These units are thoroughly checked by our quality auditors to ensure their functionality. Looking for Jar Mill ?